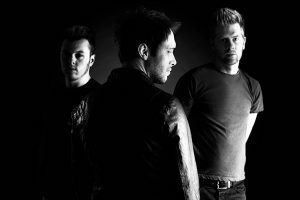 Hullabaloo is formed of three musicians from the depths of West Wales who are passionate about accurately recreating the incredible music of MUSE and bringing it to the forefront of venues near you. Travelling up and down the UK and beyond to perform in clubs, theatres and festivals playing all of MUSE’s repertoire from the albums Showbiz and Origin of Symmetry up to Simulation Theory and everything in between. Hullabaloo has become a mainstay amongst the best tribute acts on offer and prides themselves on mastering the sound of MUSE and putting on unforgettable live shows.